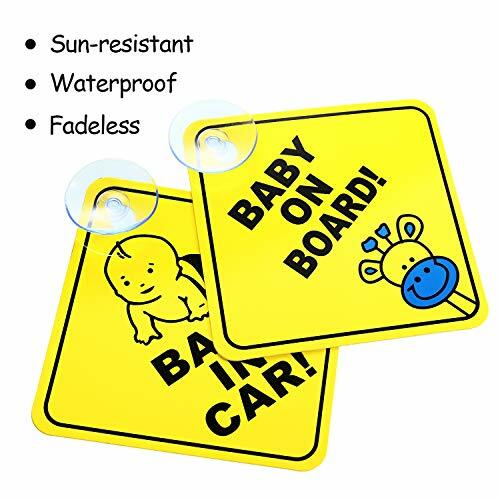 Product prices and availability are accurate as of 2019-04-22 23:05:49 UTC and are subject to change. Any price and availability information displayed on http://www.amazon.com/ at the time of purchase will apply to the purchase of this product. 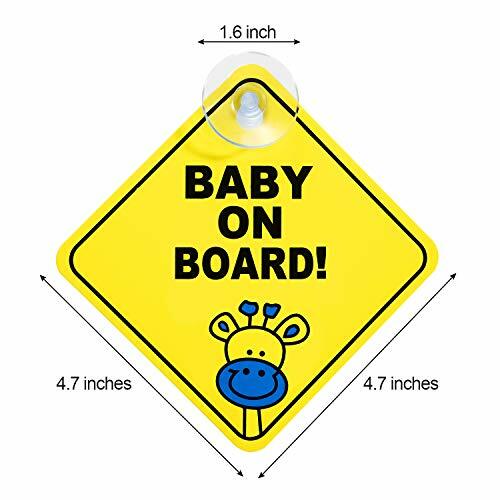 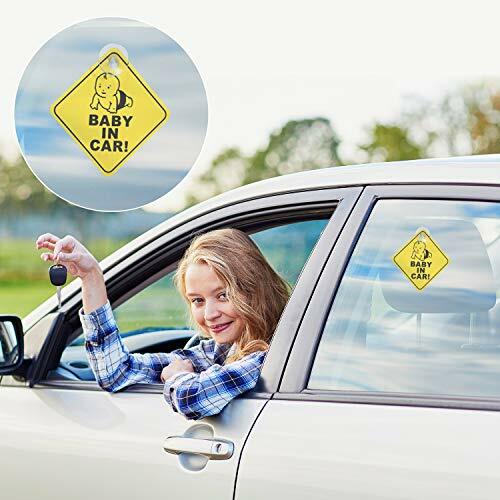 Each sign has a strong suction cup, not easily fall off or move when stick them inside of windows, will not damage the surface of your cars, no residue. 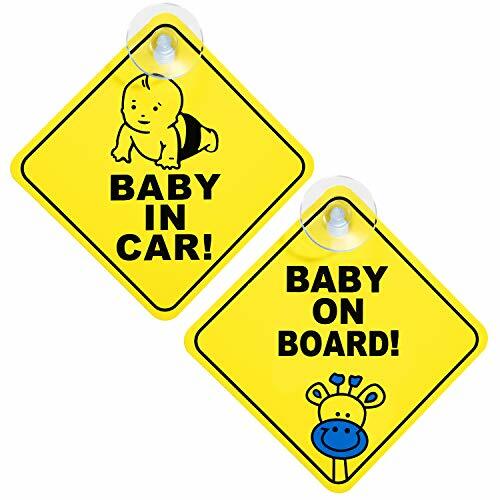 Yellow background and vivid patterns make it be noticed easily, can increase other driver's awareness, help you and your children safer on the road. 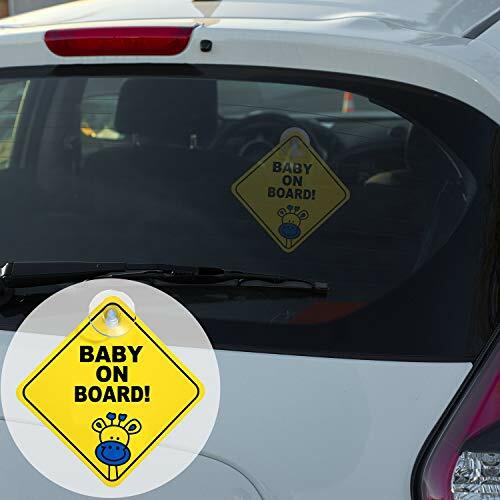 Easy to peel off and transfer them to different cars, especially when you go travelling with your baby. 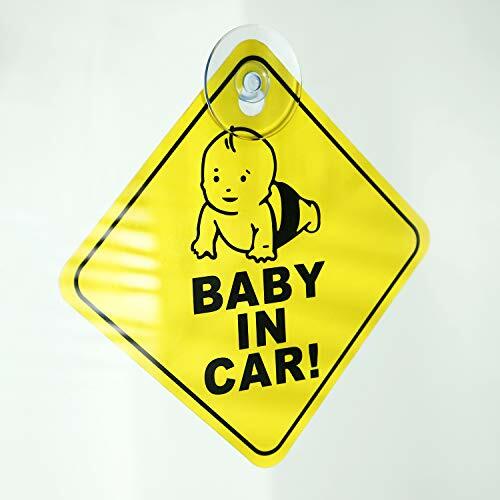 Before using, please clean up the back windshield and the suction to ensure the using effect.